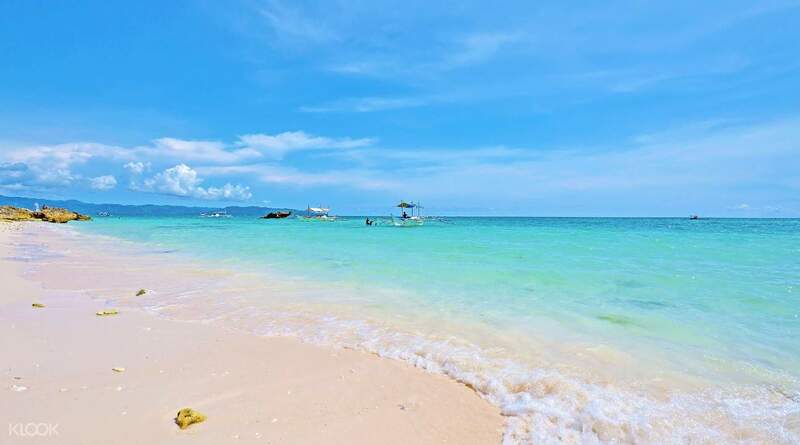 My family enjoyed the island hopping,,we tend to explore the scenic beauty of boracay islands. My children had fun in snorkling and waves in puka beach.The lunch was superb especially the taste of pinakbet. 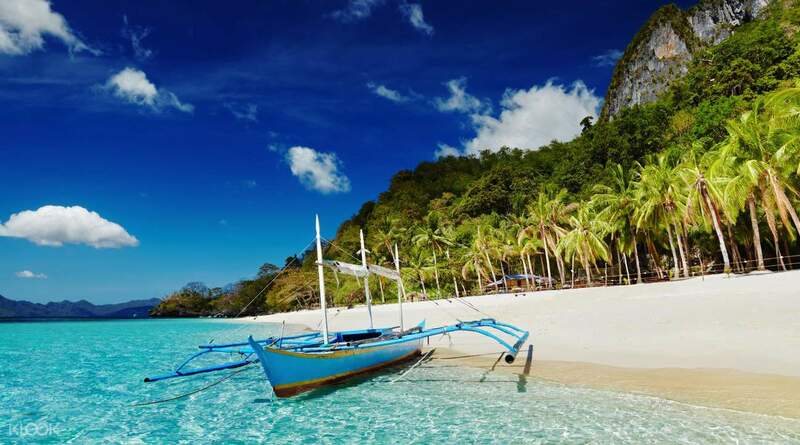 Explore the untouched beaches, clear waters and colorful sea creatures of Boracay on a private island hopping tour. Enjoy the tranquility of the ocean and the breathtaking scenery on an special boat trip, reserved just for you. When the boat stops at various scenic points throughout the day, you can take a dip in the ocean or snorkel to your heart's content. 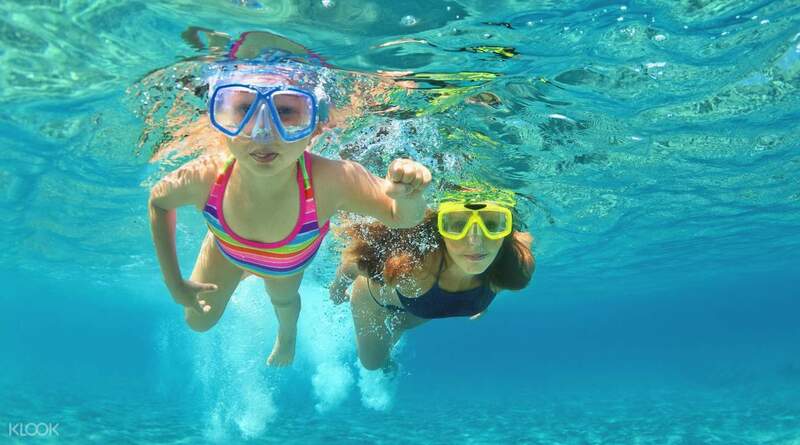 The boat trip also includes a visit to Magic Island for a cliff diving experience or the popular Crystal Cove with local artefacts on display. Hassle-free! Snorkeling area was a bit wavy, we did not enjoy much but if the water is calmer, i believe the activity is great. Lunch is superb! 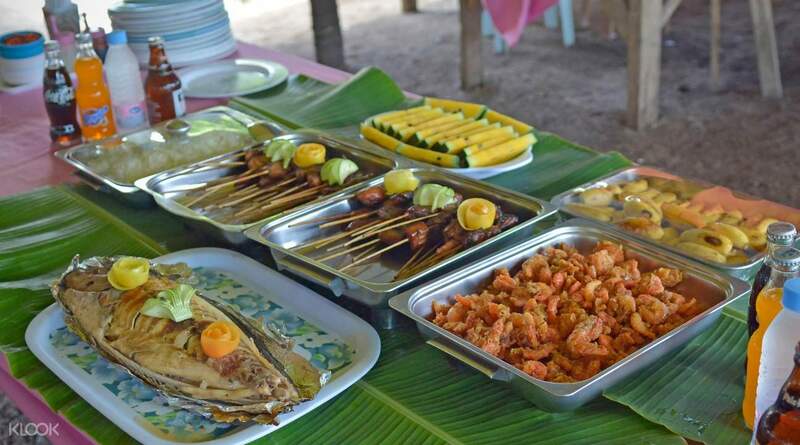 The food has variations, delicious, and sumptuous 😋 Puka beach was definitely our family's favourite! Thank you Klook! Hassle-free! Snorkeling area was a bit wavy, we did not enjoy much but if the water is calmer, i believe the activity is great. Lunch is superb! The food has variations, delicious, and sumptuous 😋 Puka beach was definitely our family's favourite! Thank you Klook! Good tour! Our guide Jessie was very enthusiastic and took care of everyone. We visited a snorkelling site, went for lunch, passed a Crocodile Rock, visited Puka Beach, and a final snorkelling stop before going back to Station 1. Due to bad weather/ strong waves we skipped a place, but overall the tour was great! Good tour! Our guide Jessie was very enthusiastic and took care of everyone. We visited a snorkelling site, went for lunch, passed a Crocodile Rock, visited Puka Beach, and a final snorkelling stop before going back to Station 1. Due to bad weather/ strong waves we skipped a place, but overall the tour was great! we had a great experience, we had snorkelling, we went to puka beach, we were not be able to went on the other island due to high tides, food is ok, its buffet, our tour guide Jes -ganda is very friendly nd accomodating, tnx Jes! we had a great experience, we had snorkelling, we went to puka beach, we were not be able to went on the other island due to high tides, food is ok, its buffet, our tour guide Jes -ganda is very friendly nd accomodating, tnx Jes! Our experience in Klook for Island Tour was great! Staffs are very accommodating and approachable. We loved the buffet as well! The foods are delicious. Our experience in Klook for Island Tour was great! Staffs are very accommodating and approachable. We loved the buffet as well! The foods are delicious. Want a hassle-free island tour experience? Make sure to book your tour ahead of time thru them esp if you'll be having it on peak seasons. During our trip, everything went smoothly and the tour guide was so lively and accommodating. I also enjoyed the sceneries and their buffet lunch. I'll definitely recommend them! Thank you for making our Bora trip awesome! Want a hassle-free island tour experience? Make sure to book your tour ahead of time thru them esp if you'll be having it on peak seasons. During our trip, everything went smoothly and the tour guide was so lively and accommodating. I also enjoyed the sceneries and their buffet lunch. I'll definitely recommend them! Thank you for making our Bora trip awesome! Upon arrival in Astoria (meeting place), you’ll immediately see the “klook” board so you won’t get lost. Jessie, our guide, is super energetic and super duper fun! From the start you’ll feel welcome and accommodating. He’s super warm and knowledgeable. Ask him anything about boracay and he’ll know the answer. He took our pictures and entertained us with random facts about the islands we pass by. Buffet food was good! Bring your own snorkle gear if you don’t want to pay additional P40. Upon arrival in Astoria (meeting place), you’ll immediately see the “klook” board so you won’t get lost. Jessie, our guide, is super energetic and super duper fun! From the start you’ll feel welcome and accommodating. He’s super warm and knowledgeable. Ask him anything about boracay and he’ll know the answer. He took our pictures and entertained us with random facts about the islands we pass by. Buffet food was good! Bring your own snorkle gear if you don’t want to pay additional P40.